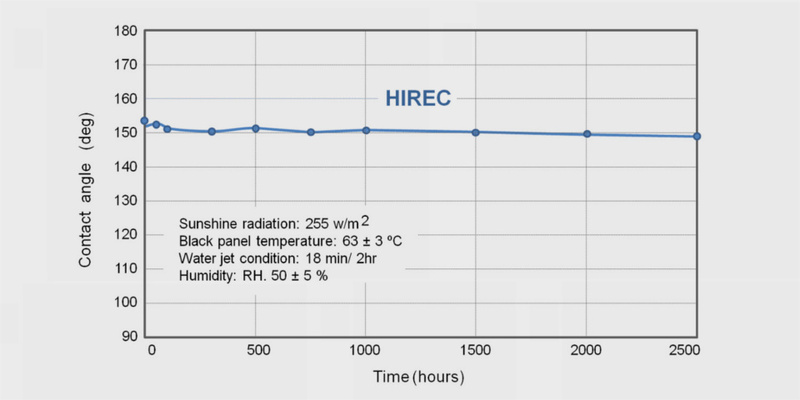 The long term stability of HIREC water repellency was measured by accelerated weathering test. 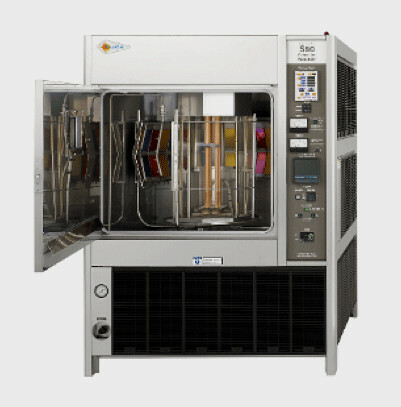 The test simulates the degradation of materials exposed in the field where ultraviolet radiation, temperature, and moisture affect on it. The change of contact angle of HIREC was measured during and after 2500 hours of the test. The contact angle was stable during the temperature with the test. The contact angle after 2000 hours was 149°, and after 2500 hours 148°. Exposure of 2500 hours of the accelerated weather test is equivalent to approximately 3 years of outdoor exposure. HIREC maintains excellent water repellency for about 3 years.